Welcome to my annual summer slump. It might be the weather. It might be an extra busy schedule. It might be my tendency towards general laziness. For whatever the reason, I generally find it’s a struggle to post during June, July and August. It shows. Over the last three years, I’ve averaged just 18 June posts, 13 July posts and a miserable 6 August posts. This June was a better, as I managed to put something up 21 times. But this month has been rough; we’re on day 6, and this will be my third. Clearly, I need some help. And that’s where you come in. I’m accepting suggestions. 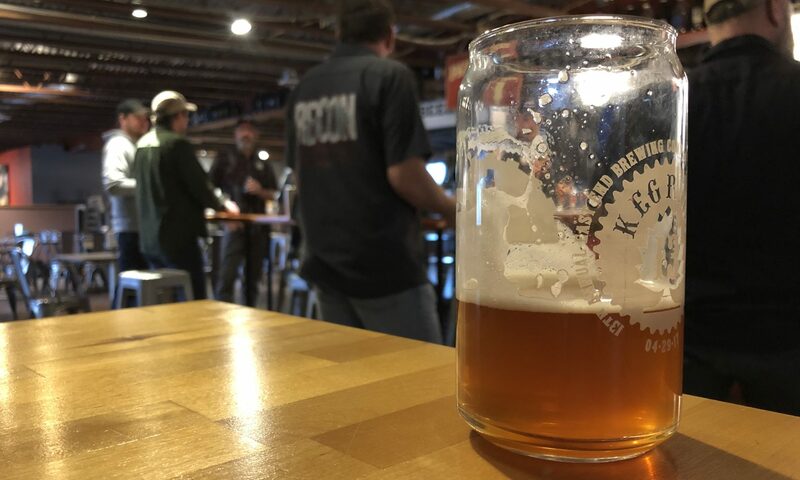 They can be general, as in “write about beer.” They can be specific, as in “compare and contrast Iron City brewed at its Pittsburgh brewery and at its contract site in Latrobe.” I’ll take anything — with the exception of politics or anything fairly specific about my job — and pick one every other day or so. If you’ve got something for me, leave a comment. Don’t be afraid to offer more than one. And thanks for the help. You no doubt had a lot of beer over the weekend (I sure did). Try anything new you liked? Disliked? How about your list (Top 5/Top 10) of places to go or things to do in and around our area? Top 5 albums. No cheating. Top 5 only. Oh, wait. Have you done this? I forget. “poplife” boggers (not Sean -he was out of town) were asked to shuffle their mp3/ipods and list the first 20 songs…no cheating. Very fun results. I could use help with what to do with three children when you’re in a new place, with none of your stuff, you don’t know a soul…and all they want to do is go back to a home we don’t have anymore. Or you could write about beer. Some of your favorite places in Pittsburgh? Food-wise, entertainment-wise? Here’s another one….National Lampoon’s Vacation was just on. How about writing about or asking readers to tell about family vacations, past or present…their own trips to “Wally World”. Be sure to mention how your sister was always full of joy, sunshine, and happiness on all of our road trips. There are neighborhood bakeries all over the place; there are little sole-proprietor coffee shops all over the place. Go find the good ones, and listen to stories. And then tell us stories. Do a Diners, Drive-ins and Dives for P-burg. We will need pics of you and Mrs. Crappy shoving obscene amounts of food in your pie-holes. What are your fashion essentials? Why? How about a little UC history? If you could be anywhere doing anything, where would you be and what would you be doing? Is there a beer that UC wouldn’t drink? I think this is like Yeti, Bigfoot and winning Michigan football. It doesn’t exist. Conspiracies! You’ve got to have a favorite or two. Wasn’t Garcia killed because he was a spy or something like that? Based on the contributions of your loyal readers, you should be covered until football season starts. Ooooh, fun! I could come up with hundreds of ideas, but I’ll stick to three. You pick one. 1. A post about what you’ve learned through blogging. Could be a list, or an entire post about one particular lesson learned. 2. Something about your favorite toy(s) when you were a kid. What are your favorite commercials for “As Seen on TV” products? Have you ever bought any of these products? If so, what’s your favorite? Next PostNext mike and jerry.